99 Years. In Service to One. In Service to All. The Knights of Columbus Patapsco Council No. 1960 is celebrating its 99th year in 2018. Throughout those 99 years, we have been serving God and the Catonsville community faithfully in the spirit of our founder, Father Michael J. McGivney. 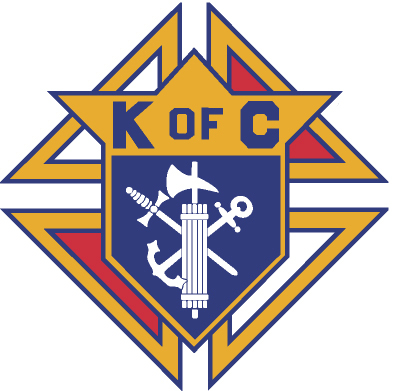 The Knights of Columbus was officially chartered as a fraternal benefit society on March 29, 1882, by the Connecticut state legislature due to the efforts of Father Michael J. McGivney, assistant pastor of St. Mary’s Church in New Haven, and some of his parishioners. The Order is still true to its founding principles of charity, unity and fraternity. The history of the Order shows how the foresight of Father Michael J. McGivney, whose cause for sainthood is being investigated by the Vatican, brought about what has become the world’s foremost Catholic fraternal benefit society. The Order has helped families obtain economic security and stability through its life insurance, annuity and long-term care programs, and has contributed a tremendous amount of time and energy in community services worldwide. For more information about the Knights of Columbus Patapsco Council, contact us. The council maintains multiple email lists. You can manage your subscription to these lists yourself via the following links. The Announce email list is for announcements to all members and friends. Manage your subscription or Email the list. The Officers email list is used to contact all the officers of the council. Subscription to this list is restricted to current council officers, however, anyone can send mail to this list. Manage your subscription or Email the list.